WTN- A total lunar eclipse will occur on July 27-28, 2018 with a totality duration of 1 hour 43 minutes. The duration makes it the longest total lunar eclipse of this century (2001 AD to 2100 AD). On July 27, the red planet Mars, will also be at opposition, meaning that the Sun and Mars will lie opposite to each other, keeping the Earth in the middle. This will result in Mars coming close to the Earth, causing it to appear brighter than normal and it will be seen from evening to dawn towards the end of July. The brighter Mars will remain very close to the eclipsed Moon in the sky on July 27-28 and can be spotted very easily with the naked eye. However, the red planet will reach closest to the Earth on July 31, 2018. The planet Mars comes at opposition at an average interval of 2 years and 2 months when the planet comes close to the Earth and becomes brighter. Mars opposition that had occurred in August 2003 brought the two planets closest distance in approximately 60,000 years. The closest approach of Mars on July 31, 2018 will bring the two planets closest and the planet Mars to be seen brightest since 2003. The partial eclipse of the Moon will begin at 23h 54m IST on July 27. The Moon will be gradually covered by the Earth’s shadow and the totality phase will begin at 1h 00m IST on July 28. The total eclipse will last upto 2h 43m IST on 28 July. 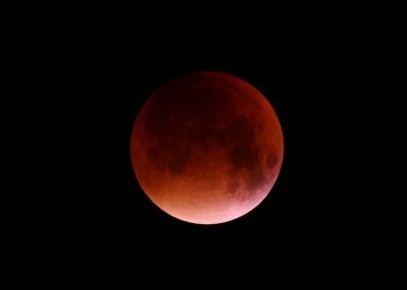 Then the Moon will start to gradually come out of Earth’s shadow and partial eclipse will end at 3h 49m IST on July 28. In this particular eclipse, the Moon will pass through the central part of the Earth’s umbral shadow. Furthermore, the Moon will be at apogee, means at farthest from the Earth in its orbit, on July 27 and will be moving at a slower speed in its orbit. This slower moving full Moon will take longer time and greater distance of Earth’s umbral shadow cone to travel, making it the longest duration of total eclipse of this century. Such long duration of total lunar eclipses had earlier occurred on July 16, 2000 for totality duration of 1 hour 46 minutes and another one on June 15, 2011 for totality duration of 1 hour 40 minutes. The entire eclipse will also be visible from all parts of India. The eclipse will also be visible in the region covering Australia, Asia, Russia - except the northern part, Africa, Europe, east of South America and Antarctica.